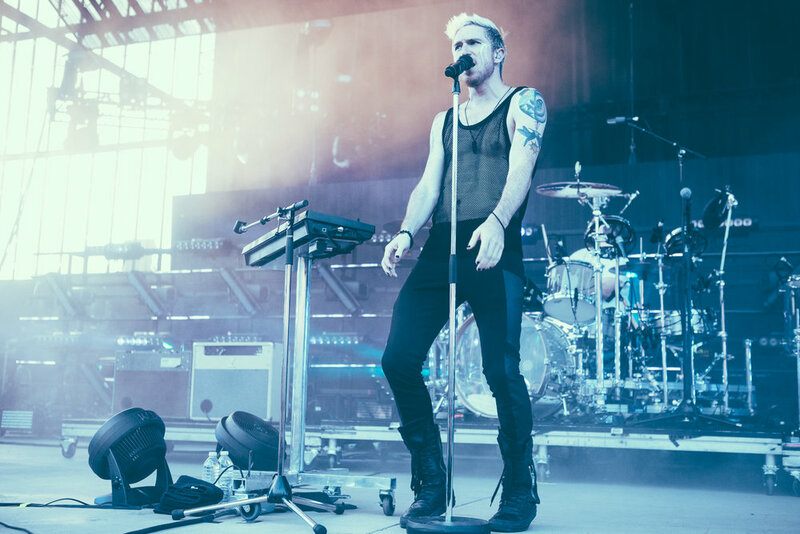 WALK THE MOON, hailing from Cincinnati, Ohio, found themselves at the Oak Mountain Amphitheatre on July 3rd as part of the Monolith tour with 30 Seconds to Mars. Nicholas Petricca and company helped warm up the audience on an already sizzling summer evening in Alabama. The set was loaded with energy, life, and a great touch of production. It really was a killer way to start an evening of music. I wanted to do a separate post for these photos because there are so many that I wanted to share. I do hope you enjoy this taste of what a WALK THE MOON concert performance looks like, and I hope you check them out if they are playing in a city near you. More information about WALK THE MOON can be found by visiting their OFFICIAL WEBSITE.